The Italian translation of my article “Japanese War Memories and Commemoration after the Great East Japan Earthquake” (originally published in the Routledge International Handbook of Memory Studies) has been published in Sociologie della memoria, edited by Anna Lisa Tota, Lia Luchetti and Trever Hagen. 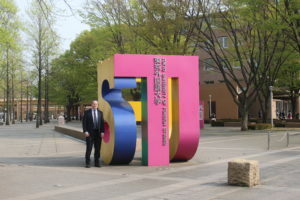 On 2 April I took up my new position as a professor in the Institute of Japan Studies, Tokyo University of Foreign Studies. It was a major decision to leave Hokkaido University after 14 years, but for a variety of reasons (both personal and professional) it was time to make a change. In my new position I will be teaching in the new School of Japan Studies, working on TUFS’ international collaborations, and continuing my research into modern Japan. I am looking forward to a new professional challenge in Japan’s capital, and to working with all past and future colleagues in my new role. 3-11-1 Asahi-cho, Fuchu-shi, Tokyo 183-8534, JAPAN. © 2019 Dr Philip Seaton. All rights reserved.